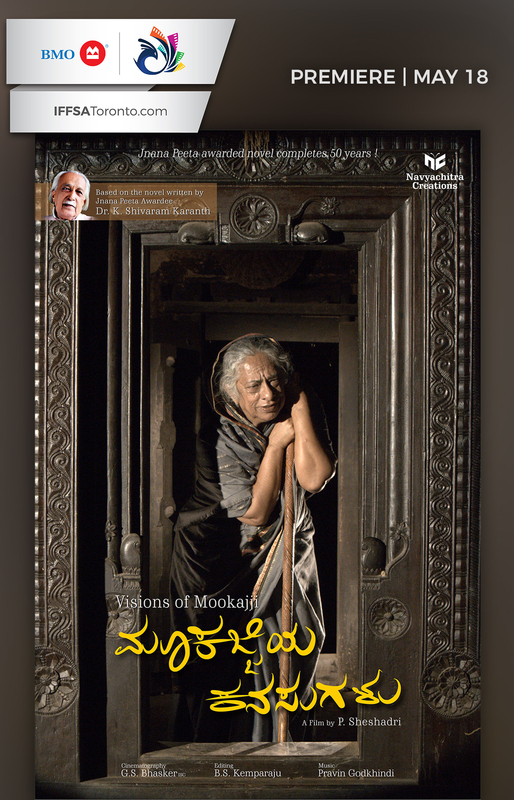 ‘Mookajjiya Kanasugalu’, a novel by Dr. K. Shivarama Karantha won him the highest literary award of the land, Jnanapeetha in 1977. The novel celebrates the fiftieth anniversary of its publication in 2018. This motion picture is the result of a sincere effort to bring the celebrated novel on to the screen. culture. With a scientific outlook, she is able to analyse complex metaphysical concepts such as God, Incarnation, Idol worship, origin of structured religion and its distortion etc. She has her own take on natural instinct, the relationship among Homo sapiens as regards their sexuality, the ethics of such a relationship etc. and is assertive of her viewpoint on these issues. Mookajji is not afraid to question the ethical stance of the society when it comes in conflict with the basic human rights of an individual. As if to illustrate this point, we get to see her succeed in restoring the broken marriage of Nagi and Ramanna whose lives had been devastated by the lecherous designs of Sheenappa, the rich merchant of the village. Janardhana, the friend of Subraya is an educated young man but is not rooted in the societal framework. Mookajji who analyses his bohemian character with the power of precognition warns him in time about the perils inherent in a vagabond-lifestyle. Posing as a vedic scholar, Anantharaya is able to mask his native identity from others but not from Mookajji.